It is not just the history and archeology enthusiasts who wonder about how it is to be a real king and have a kingdom of their own. Every single individual in this world has, at some point in time, harbored thoughts of being a king or queen. 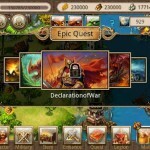 It is this desire of the human mind that the game ‘Dragon Kingdom’, developed by X6 Game, caters to. 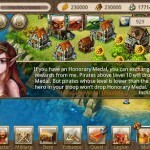 The player gets to be a king who is hungry for conquests and does so by acquiring the necessary resources and fighting enemies, pirates and dragons to protect your land. Its central idea involves simulation, role play and strategy and gives us an extreme dose of virtual reality with a requirement of Android 2.1 and above. This game has got an awesome interface that is difficult to match to by any app. Delightful colors combined with smooth graphics puts its players to a trance with an inability to concentrate on anything else. It is productively addictive and its higher levels require a remarkable display of strategy. 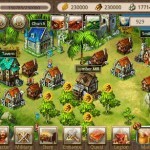 Though the numerous pop-up windows along with its numerous buttons within the app invoke slight edginess, the overall game-play requires aggressiveness in order to play competitively against the other online players. Since it is also an online game, advent of malware may access your message box and other SD card contents. 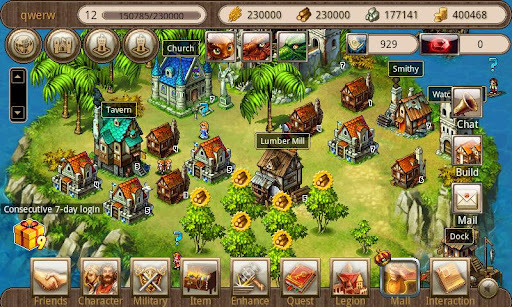 Dragon Kingdom is a game that I truly enjoyed playing since it gets a petty part of your sub-conscious involved for role play and strategy creation. 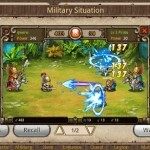 The enhancement of this version, like addition of hero transfer function and reputation measurement, puts this game app on par with strategy games developed by the renowned Zynga.